Eggs have a lot of protein, and while that protein is great for nourishing your body, the nutrients in eggs are also great for nourishing skin as well. To reap the benefits of egg whites, separate the whites from the yolks of two eggs and then whisk the whites until they are frothy. Smooth in upward motions on the face, applying liberally. Allow to dry for about 15 or 20 minutes and then rinse off with warm water. You may add a few teaspoons of lemon juice if you want to add a cleansing effect to your mask. You will soon see many benefits from having the egg white on your face. Soon after you've applied an egg white mask you'll feel your skin start to tighten. This effect usually lasts for about an hour after you've rinsed the mask off, giving your face a healthy glow and diminishing the look of fine lines. Some people believe its effects are similar to a short-term facelift. At the very least egg whites tighten pores and, once rinsed, remove dead skin cells. Egg whites can draw oil from the pores while tightening the skin, according to Cosmetics-n-Skincare.com. That website suggests making a mask of oatmeal, honey and egg white to cleanse, exfoliate and firm the skin. Whiteheads are pores that are blocked with oil and other debris. Experts at Acnetalks.com suggest that regular egg white masks with a dash of lemon will help remove whiteheads, while the protein in the egg whites helps to heal and nourish skin. 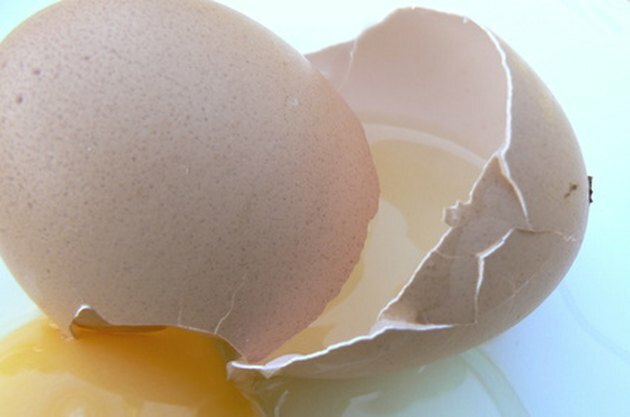 Can Egg Whites Help Wrinkles?